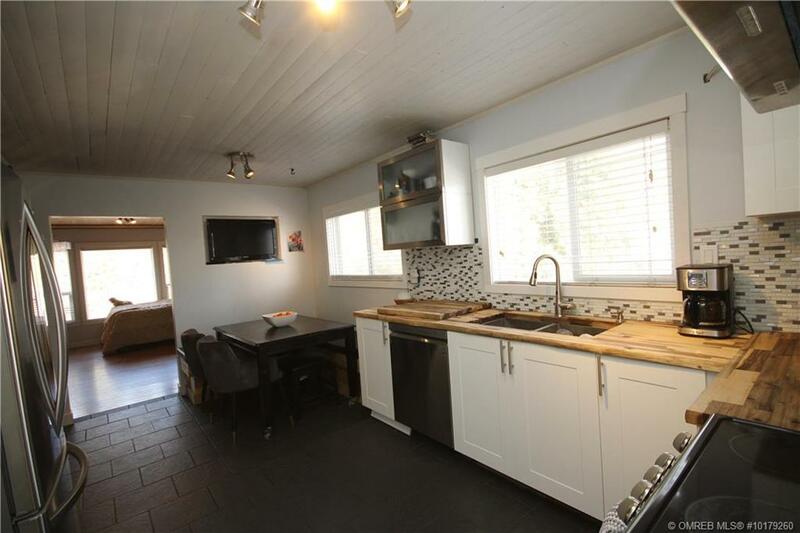 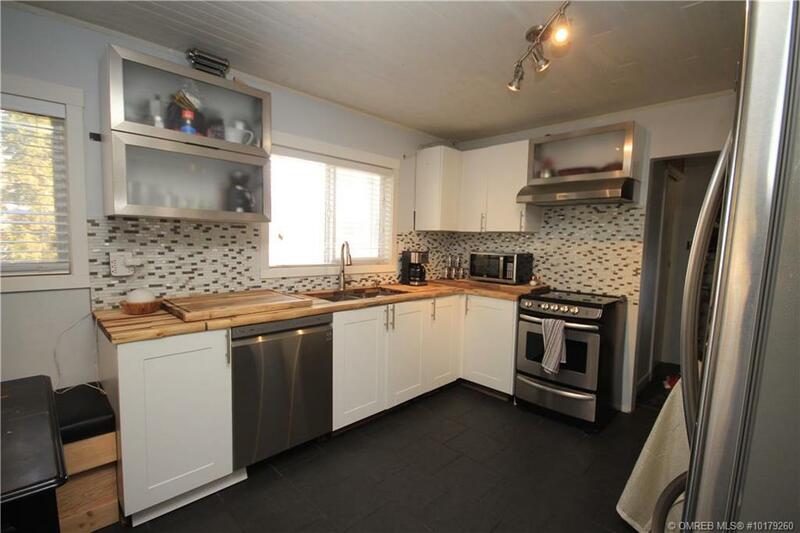 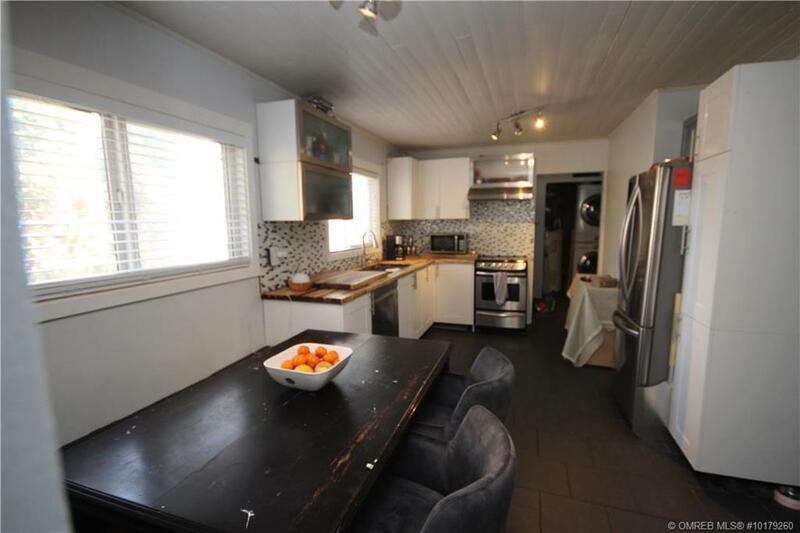 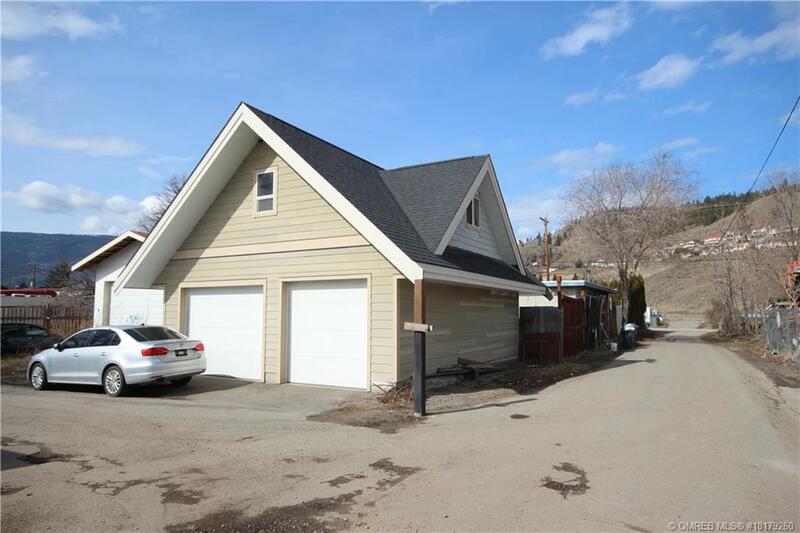 Chris Cyca of RE/MAX Kelowna is proud to present this half-duplex with carriage house. 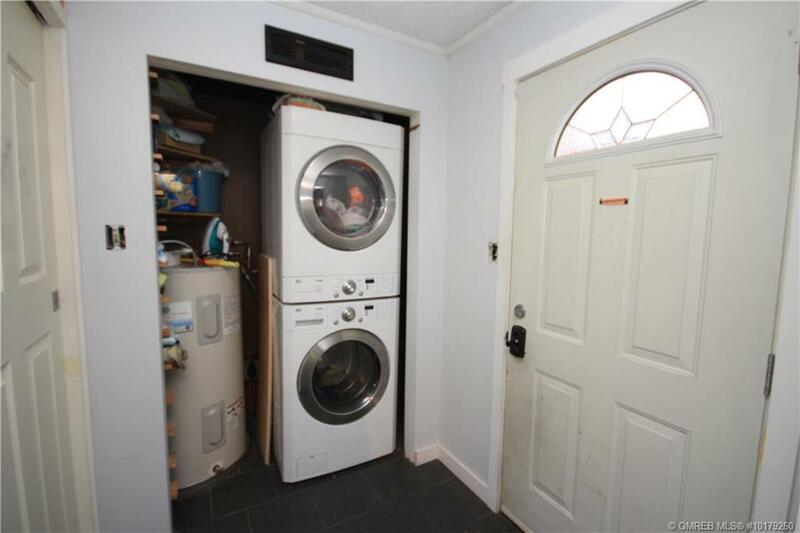 This home in the North End has had renovations done and is just waiting for a few final details. 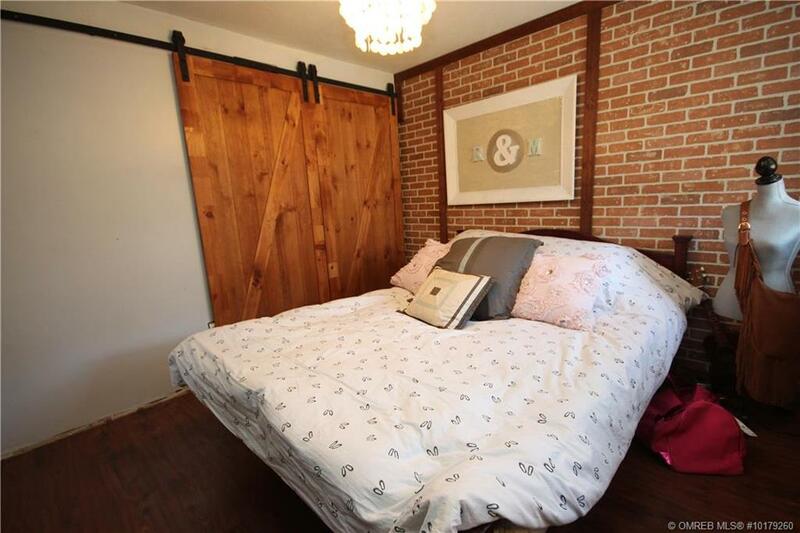 Master bedroom with sliding barn doors and brick feature wall. 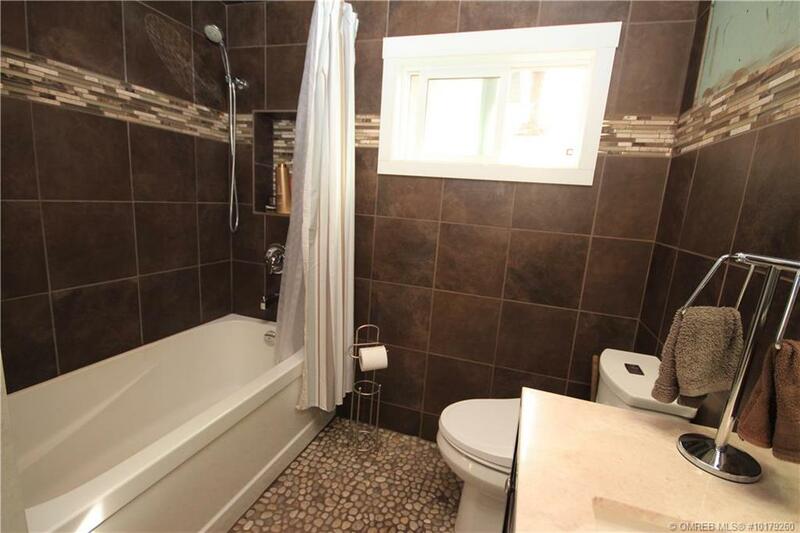 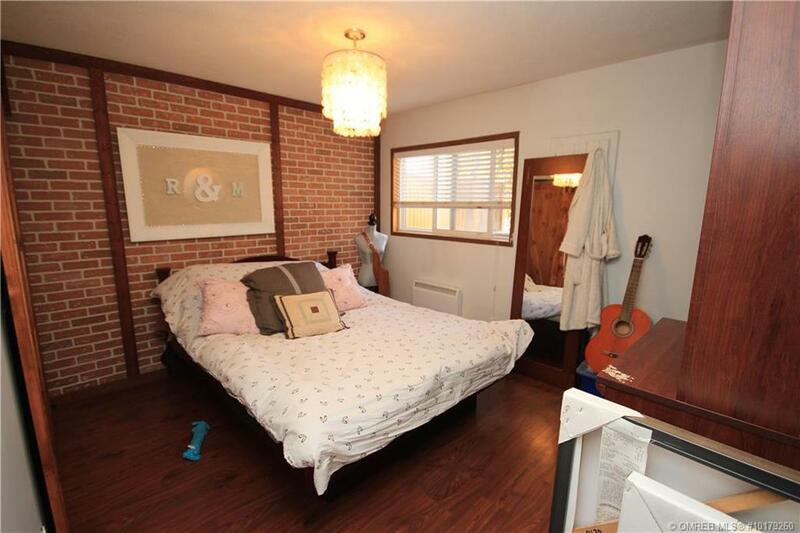 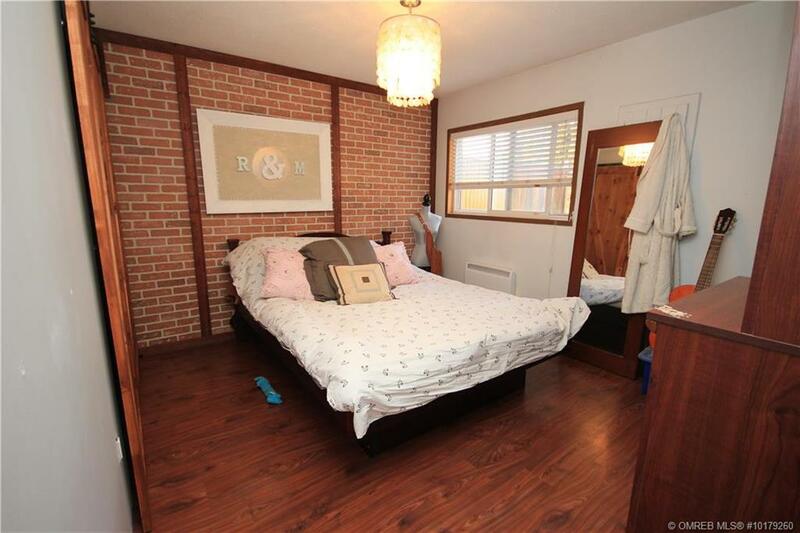 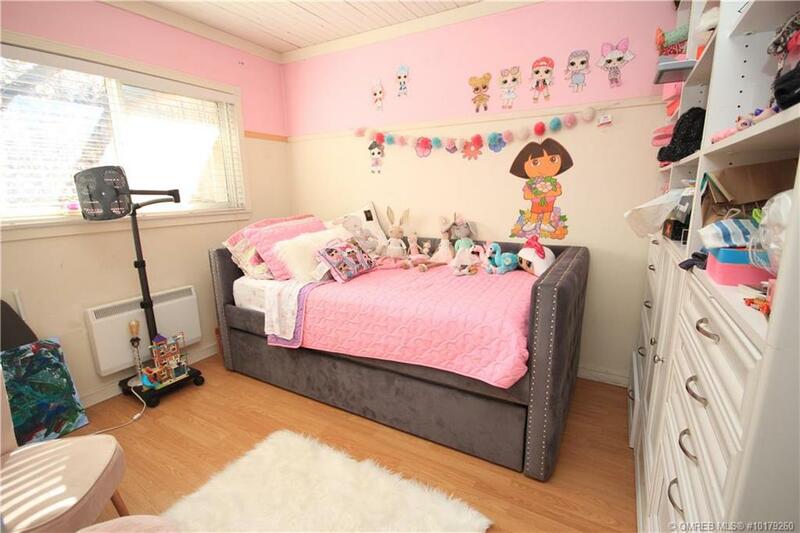 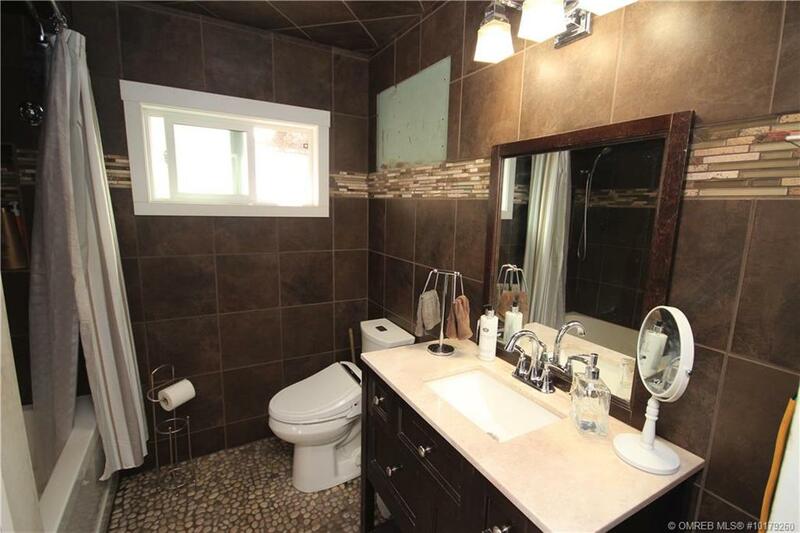 Good sized second bedroom and renovated 4 piece bathroom. 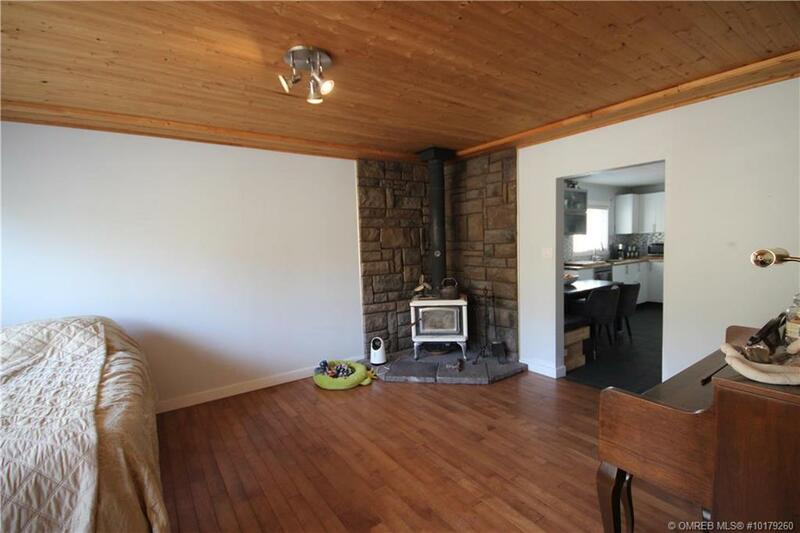 Wood stove in living room. 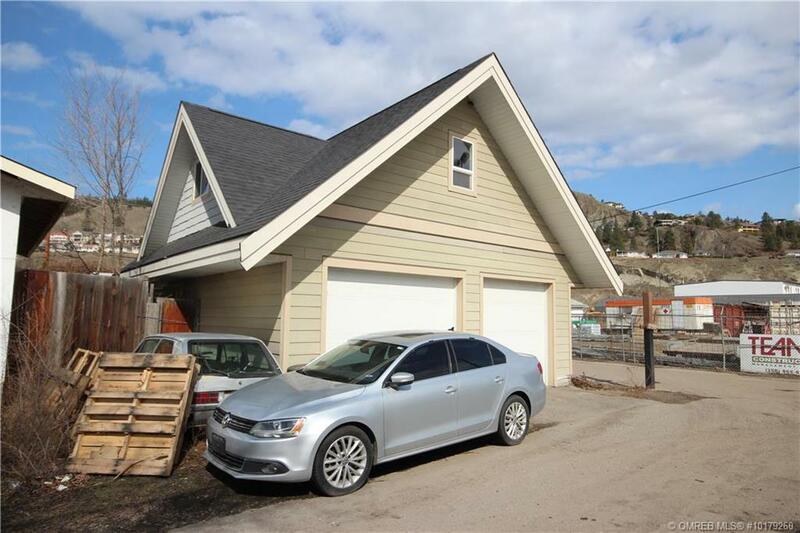 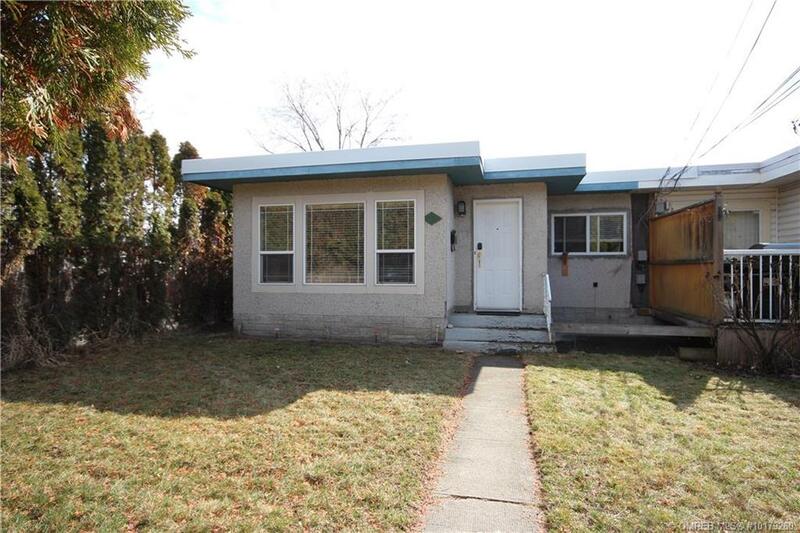 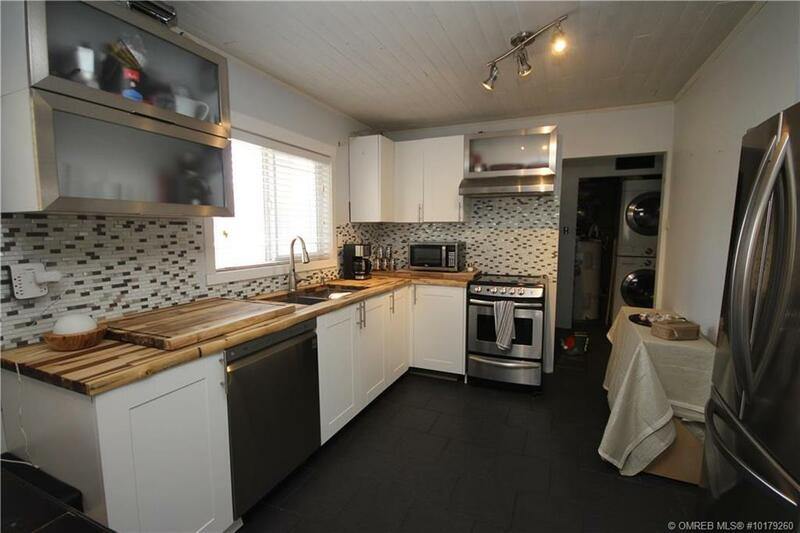 An oversized double garage with upper level is perfect right now for a car enthusiast or a hobbyist but to get the full potential and value out of this RU6 property, finish it with a 1 bedroom self-contained income suite. 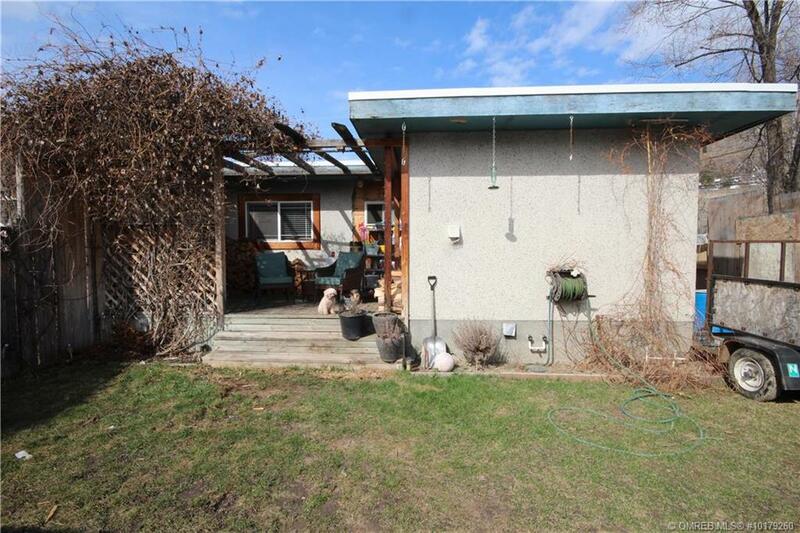 With some sweat equity, this property will be a good investment with 2 rental suites as well as a good hold as the City continues to redevelop the area. 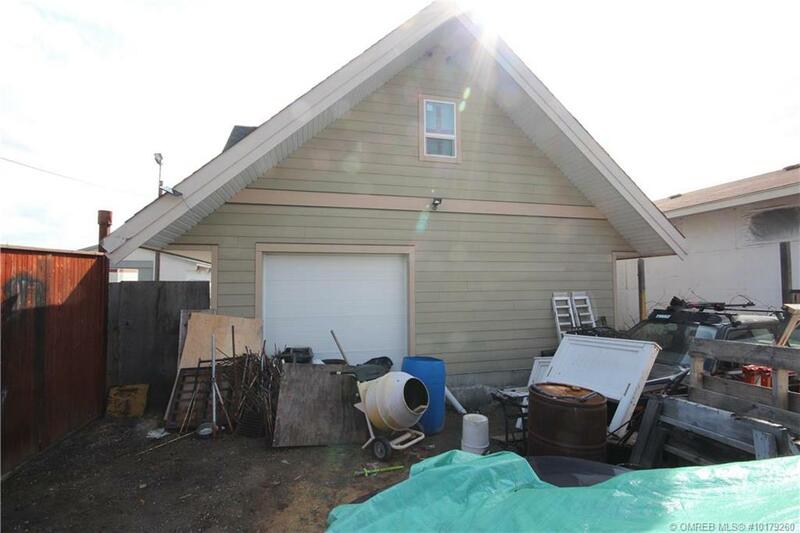 Call Chris Cyca today 250-317-6075 to view and visit www.chriscyca.com for more details.